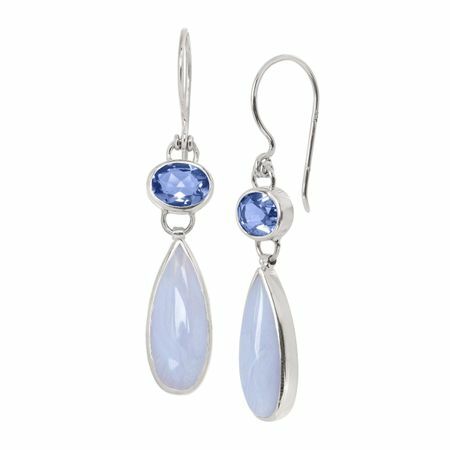 Opaque blue lace agate suspends from an oval-cut blue quartz in a setting of sterling silver for a lightly colorful look you'll love. This piece is part of our Balinese Collection, inspired by the beauty of Southeast Asia and handmade in Bali using ancient silversmith techniques. Earrings measure 2 by 5/16 inches and feature French wire back findings.